Learning the names of planets will be a whole lot easier with these free printable Solar System Word Search Puzzles. And once they master the names they can also solve the solar system worksheets with ease! I’ve made a few different variations of these so your kids won’t easily be fed up with them. 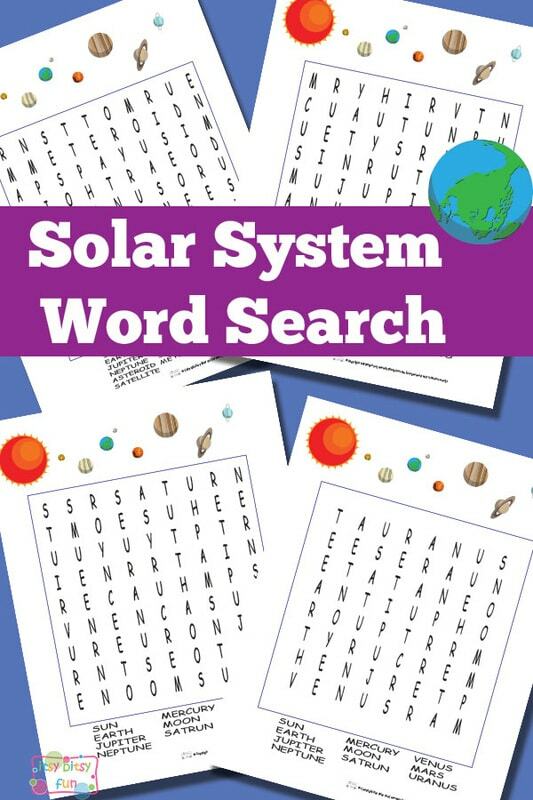 Get Free Printable Solar System Word Search Puzzles. Let’s see if we can find the Sun, Mercury, Venus, Earth, Moon, Mars, Jupiter, Saturn, Uranus and Neptun! 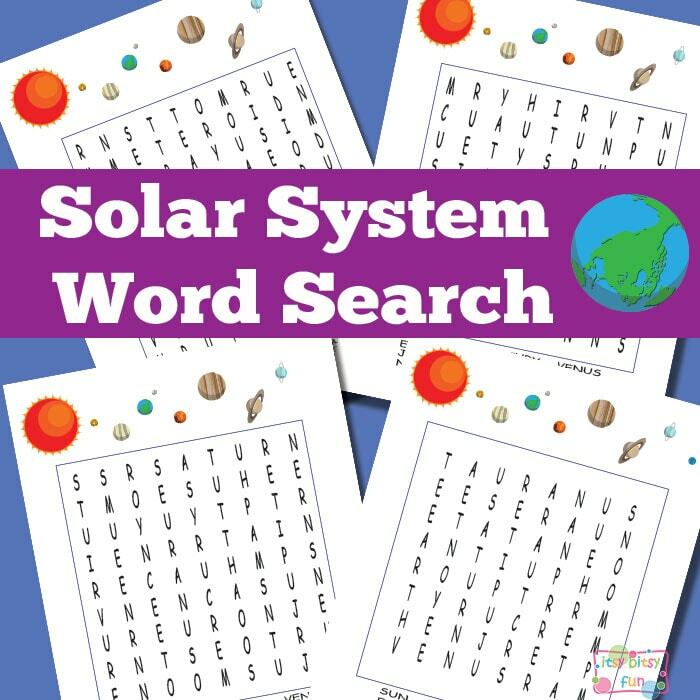 The first pack of printables has 5 different word search puzzles where kids search for these basic solar system objects. All in all lots of fun! I really hope your kids will enjoy these and that their interest in space will only become stronger as it really is magnificent – I catch myself sometimes just looking at the stars and thinking about all the wonders space has to offer. Get these free printable Solar System Word Search Puzzles here. I am a sucker for these puzzles (on paper and computer) – I think they are great for keeping the brains sharp so I do love making them – if you’re a fan too be sure to check the Halloween puzzles and summer puzzles amongst other ones.